To request a PDF version of this media kit and images for publicity use, email books@amylu-riley.com. (EVANSVILLE, Ind. – March 8, 2016) – Jesus as Healer: Miracles and Meditations in Luke, a new book by AmyLu Riley, is now available on Amazon.com and CreateSpace.com. In 44 short vignettes, the 128-page book explores the healing miracles of Jesus as recorded in the historical account of Luke. Jesus as Healer guides readers on a meditation journey through many of the greatest healing miracles of all time. Jesus healed all kinds of diseases and afflictions, raised the dead, and gave people hope. Readers will find out the one thing that amazed Jesus, uncover the only obstacle that ever got in his way, and learn his cure for a fatal condition only he has healed. AmyLu Riley is a professional writer who resides in Evansville, Indiana. For more information, visit amylu-riley.com. Also available through Bowker, Ingram. AmyLu Riley is the author of Jesus as Healer: Miracles and Meditations in Luke (2016). A lifelong writer, she has written professionally for marketing and advertising agencies, broadcast media, and freelance clients. Riley’s penchant for writing displayed itself very early in life. At around the age of 8, she created her first publication at home, using scissors, large paper, tape, and colored pencils. By age 17, the Huntington County native was working professionally in communications, as the youngest new hire of Christian radio station WBCL in Fort Wayne, Indiana. She received degrees from Vincennes University and the University of Southern Indiana before setting her hands to the keyboard full time for a career in writing. In 2002, while reading The Purpose-Driven Life by Rick Warren, one of the Scriptures in a daily meditation leapt up. It was Psalm 102:18: Write down for the coming generation what the LORD has done, so that people not yet born will praise him. She took this verse to heart. From childhood, she had recognized the authority and importance of the Scriptures, but had found building a living relationship with the Word of God to be elusive. Now, however, she became persistent about pursuing that bond. She began journaling her prayers and daily reflections on Scripture. By 2004, she had truly fallen in love with the Bible, finding more life and communication in her connection with the Word than she had realized was possible. For many years now, her love of the Bible has spilled over into stacks of notebooks filled with her reflections on Scripture. 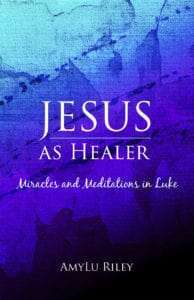 Her book Jesus as Healer: Miracles and Meditations in Luke springs from this biblical meditation. Riley also serves freelance writing clients, with a focus in the natural health field. She and her husband, Richard Riley, live in Indiana. Author photos are available for book publicity. Send requests to books@amylu-riley.com. In your new book, Jesus as Healer, it’s apparent that you regard the Word of God as a living entity. Tell us about your relationship with the Bible. From childhood, I recognized the authority and importance of the Scriptures, but I found building a living relationship with the Word of God to be elusive. As a teenager, I had a sense that I should love the Word and I even felt pulled to it, but at the same time, dust often collected on my Bible between church services. I went to church regularly and took notes on sermons, I read and studied the Word, and I memorized Scripture. I was putting the Word in my heart and doing my best to live by it, but there was not a vibrant connection between me and the Bible. This project springs from my own biblical study and prayers during a time in my life when I was facing a health challenge. I meditated intently on the healing miracles of Jesus and his life as a healer, recorded in the book of Luke. As I reflected on the accounts in Luke, I wrote down my thoughts, questions, and conversation with God. Those meditations later became the basis for this book. There are many types of meditation in the world. What is biblical meditation? Other Bible passages also discuss meditation. In Psalm 119, the longest chapter in the Bible, meditating is mentioned five times! This Psalm talks about meditating on God’s decrees, deeds, and splendor. The descendants of Korah also wrote in Psalm 48:9 that they meditated on God’s unfailing love as they worshiped. Biblical meditation renews and transforms us by letting the word of God permeate our being. What is the value of meditating on miracles? The Bible reminds us to consider past miracles when life gets difficult. Two of the Psalmists, Asaph and David, tell us in Psalm 77 and Psalm 143 that they meditated on miracles when they were distressed, afraid, and losing hope. You can see in the prayers they recorded in these two Psalms how they went from pouring out their problems and bruised feelings to God, to remembering the great things God has done for people. When Asaph turned his thoughts to miracles, he focused on God and reaffirmed truth about God and his compassion. And when David moved his attention from despair to miracles, he made a trusting appeal to God for guidance and help. For both of these believers, meditating on miracles was the pivot point that helped them move their focus from their own problems to God’s power and compassionate involvement in the lives of his people. God knows we desperately need to move our focus away from our problems and onto his power. We need to think deeply about his identity and what he is capable of overcoming. That’s why it is profoundly reassuring to meditate on the healing miracles of Jesus in the book of Luke. Something much larger than ourselves happens when we stare into the face of these biblical miracles. We receive strength from knowing that God absolutely has the power to heal, and that when healing aligns with his will, it can come in an instant. That’s what happened when Jesus performed these healings. Meditating on miracles can be a powerful practice. How can readers meditate on miracles using your book, Jesus as Healer? Every chapter of this book is a meditation on a passage of Scripture from the book of Luke. Readers will see the Bible verses first, then some thoughts about the Scripture, followed by a prayer. I also encourage readers to write down their own thoughts and questions about the Scripture, and ask God to respond to them. Some readers will open this book alongside their own Bibles and use it for daily meditation. Other readers might choose to use the book in other ways. What types of prayers are included in the book? The prayers in each chapter are very relational; they are real conversations with God. Some of them express gratitude and wonder for who God is and what he has done. Some ask for his intervention and help. And others reveal the honest questions and doubts we have when we compare what the Bible says with what our eyes see. Many people—even people with very strong faith in God—want to close that gap of wisdom or belief, but none of us can do it on our own; we need God’s help. These prayers ask for that help. They help us express trust in God while also pouring out our hearts and asking God hard questions that many of us have. In 2002, while I was reading The Purpose-Driven Life by Rick Warren, one of the Scriptures in a daily meditation in that book just leapt off the page for me. It was Psalm 102:18: Write down for the coming generation what the LORD has done, so that people not yet born will praise him. At that time, I wasn’t overly familiar with receiving callings from God, so I was a little surprised when it suddenly felt as if words of Scripture on a printed page were speaking very deliberately and loudly to my heart. I recognized this verse as a calling for my own life. I was already a professional writer in the marketplace, but not in the way that this verse talks about. Several years then went by, during which time my relationship with the Word of God deepened, and my own study of the scriptures changed from an informational transaction to a living communication. I believe that was a time of preparation for me. There are many examples in the Bible of people who are told to do something or are told that God will do something in their lives, and then many years pass with no outward signs that the event is coming to pass. I think of Moses, Abraham, Joseph, David… the list really goes on and on. In 2008, I began writing about Scripture. My first such project, an e-book which I completed in early 2009, was a valuable learning experience about the book-writing process. About a year and a half later, I had completed research for a second Scripture-based writing project that I was really excited about, when the circumstances of life caused me to put the whole thing in a drawer. I really thought at that time that the Scripture-based-writing calling had ended. I continued my own Bible reading and journaling and prayer, and I continued my professional writing career, but I forgot about the Psalm 102:18 writing calling. Not just figuratively, but literally. I actually completely forgot about it. 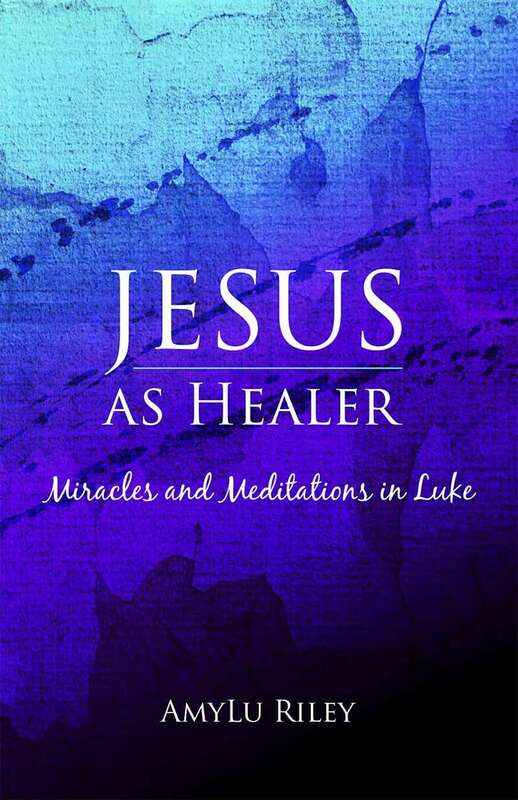 In 2012, I began a personal study of Jesus as healer in the book of Luke. I read, journaled, and prayed through the entire book of Luke over a period of months. I shared some of those writings on a blog, but I never had any thought of writing a book. Then, in Spring 2015, I received a clear prompt in my heart from the Holy Spirit. Write the book Jesus as Healer. I wasn’t expecting that. But two more times, I received an exact repeat of the first unmistakable prompt. Write the book Jesus as Healer. And so, it wasn’t so much that I chose to write this book or publish it, but that doing so was my spiritual act of worship. It was obedience. And it became a blessing to me. God has been at work through the entire experience. I say that this book worked on me as much as I worked on it. I am a very private person about many aspects of my life, and this book has called me out into the open in a way I believe I never would have chosen on my own. But I would not trade this experience. I am so thankful for it. At the same time, I realized only after I had published Jesus as Healer in March 2016 that God had resurrected the specific call and dream that he put in my heart in 2002. You’ve said that you didn’t know who the intended readers of this book were until you had nearly finished writing it. Please explain. One of the first things a writer does when starting any project is to identify the intended audience for the material—before writing even begins. That way, we can tailor the work specifically to that specific readership. But now that you’ve heard my story about how this book came to be, you know that my original instructions didn’t come with information about who the book was for. It wasn’t until a draft of the book was being edited that I learned who God really had in mind. On a windy day in late 2015, God brought a person smack into my life who would make that extremely clear to me. We had run across each other previously, but had never been introduced. On that day, circumstances came together in such a way that we ended up not only meeting each other, but also talking about prayer and faith. This person was a believer who was really suffering physically, and who, despite having a strong faith in God, was feeling discouraged about ongoing difficult health issues. After briefly talking about some Scripture and praying together, we went our separate ways. When I got into my car to leave, the Spirit of God spoke clearly to my heart. That is who the book is for. First of all, that experience really drove home to me how much God cares for us as individuals. And second, I was grateful to have the knowledge that the book was for that person and others suffering difficult health problems and other circumstances—people who need miracles in every sense of the Word. In the subsequent weeks, I revised many parts of the book with those readers in mind. You are asking people to give copies of the Jesus as Healer book to friends who are facing health challenges, as well as pastors, chaplains, and others who visit sick people, to give to those they visit. How can readers get involved in that? Several weeks before the book was published, I felt strongly that copies should be given away to people in need of hope and encouragement, whether they were already believers in God or not. Because my own resources are not unlimited, I knew that the number of copies I could personally give away, and the geographic reach of my own efforts, would not extend far. But because God’s resources are not limited, I felt the courage to ask other people to join me in offering encouragement and hope to the people within their own circle of influence. We all know people who are walking around with a health problem right now, and we all probably also know one or more pastors, chaplains, or other people who visit the sick. Every copy of this book that is put into the hands of these people gives them two important things. First, both Christ followers and unbelievers will receive the benefits of meditating on his miracles. Second, the gospel is clearly presented in this book in a way that reminds believers of their very real hope, and that also extends that hope to unbelievers. This book doesn’t only focus on the healing miracles of long ago, it also clearly explains the eternal healing and life that is available now through Jesus to every person who wants it. The way to get involved in this effort is really simple. You can purchase copies of the book, and ask God for opportunities to give it to people. You can also provide copies to your church’s visitation pastor, to hospital chaplains, and to others you know who visit people facing health issues. You can pray for those people, ask God to open doors, be obedient to any promptings God gives you, and then watch what unfolds. I always think of James 4:15, which says, “What you ought to say is, ‘If the Lord wants us to, we will live and do this or that.’” So, with that in mind: If the Lord wants me to, I will live and write a book for people who are waiting for healing that hasn’t yet come. I believe there are many people whose faith will be strengthened by a deep dive into the Scriptures about why people are not always healed and how that reality reconciles with the truth of God’s love. I have met some dear believers who are having the struggle of their lives with their health, and at the same time, their spirits are taking a beating. They have questions, disappointment that is difficult to express, and a feeling that the pat answers they’ve heard about suffering don’t go deep enough to bring them comfort or resolution. I want to help lift their spiritual load by shining a light on some truth from God’s Word that can help give them clarity and set them free. It certainly won’t be the first book written on that topic, but I feel an incredible urgency to address it. It is a long list! I’ll mention a few now and leave the rest for another time. C.S. Lewis is definitely near the top of the list. Along with Dora Saint. And Erma Bombeck. Sarah Young is also a favorite. Many know her for her popular devotional books. I find her personal story of writing through her own health challenges very inspiring. I appreciate her obviously close relationship with God and the way she is giving of herself so incredibly to the global church—not despite her situation, but in fact, through it and because of it. There are many other favorites, as well. I appreciate the conversations one can have with authors, living and dead, through their books. Where can people find your book and connect with you? All of the information about how to get the book is on my website, amylu-riley.com. (You can type that website address with or without the hyphen; either way works.) The book is available online at amazon.com. It’s also available at selected stores listed on the website. At the amylu-riley.com website, you can also subscribe for email updates and connect with my Facebook author page.